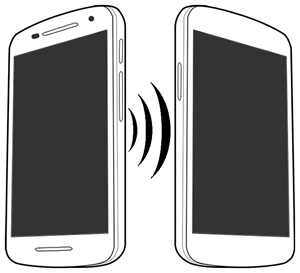 To transfer info from one device to another, both devices must be Near Field Communication (NFC) capable and unlocked with the Android Beam turned on. Ensure Android Beam is turned on. If the device receiving the data doesn't have the necessary app to view it, the Google Play Store will launch to an app download page.